Based on reviews from 290 users. Learn how our rankings work or see our guide to Nike Sportswear sneakers. Updated Apr 2019. The Nike brand is widely known to be one of the top and leading sports brand globally. Since the brand’s inception, it has served the people with high-quality, reliable, trusted, and high-performance products. Nike has made quite a lasting relationship with its longtime fans, and it has established a solid reputation that has brought a right amount of respect to its name. Nike, throughout its existence, has also introduced different sub-brands that categorize its products according to its frequent use. Nike Sportswear is among the brand’s sub-brand which offers the Nike sneakers that are designed for sports, but some of them are given the casual twist. The relationship between Nike and LeBron James initially began in the year 2003. It was when James went pro after high school. A seven-year contract worth $90 million that was signed in 2010 was given a seven-year extension. It was the first deal between Nike and James, as what ESPN stated. 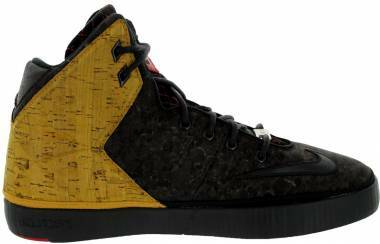 The 11th LeBron James signature sneaker that was released in the year 2013, the Nike LeBron XI NSW Lifestyle was explicitly designed for off-court purposes. These Nike Sportswear Sneakers, though, retains the signature comfort and some of the features of the core model, Nike LeBron XI. The inner construction of the silhouette delivers a narrative of luxury as it took inspiration from Napoleon’s 18th-century furniture in his apartment situated in France. Each of the colorways of the Nike LeBron XI NSW Lifestyle also represents the different aspect of James’ life journeys. Nike LeBron XI NSW Lifestyle “King Of Miami” – LeBron was accepted as a hero to the city of Miami as he brought it two championships. The silhouette was inspired by palm trees and displays various shades of green with vibrant red hints. Nike LeBron XI NSW Lifestyle “King Of The Streets” – For LeBron, he is just a young kid from Akron with a dream and was lucky enough to make it. This version of the sneaker showcases an all-reflective upper construction that enables the wearer to be striking enough even in the distance. The silhouette also exhibits some aquamarine accents which represent the waters of South Beach. Nike LeBron XI NSW Lifestyle “Work Hard Play Hard” – the intertwining of LeBron’s past and present is ideally represented in this version of the sneaker, mixing the souls of both Akron and Miami. The upper construction is covered in mostly wheat shade which is a reflection of the “self-reliant spirit of Akron.” The hints of bright pink represent the flamboyance of the city of Miami such as the neon lights, flamingos, and art deco architecture. Released in 2014, the Nike LeBron XII NSW Lifestyle was the “lifestyle counterpart” of the Nike LeBron XII’s. Meant for off-court purposes, the casual silhouette is covered with raised pyramids design on its upper and its toe box was patent leather. These Nike Sportswear Sneakers are finished off with hints of Challenge Red on its eye stay, heel, and tongue tag. Nike LeBron XII NSW Lifestyle “Lion’s Mane” – in less than 24 hours after releasing the “Denim” colorway for the Nike LeBron XII NSW Lifestyle, the brand made a follow-up release with the “Lion’s Mane” colorway. The brand used a lion hair-like material on the sneaker’s upper. Majority of the upper in which the “Lion’s Mane” material is used displays the camel brown tone while the toebox is painted in hazelnut as well as the laces and tongue. To finish off the design of the sneaker was the sail-colored midsole. Nike LeBron XII NSW Lifestyle “Lights Out” – the fresh blacked out stealth look for the silhouette was the first release for the LeBron XII Lifestyle in 2015. The “Lights Out” version of the sneaker exhibits a nubuck leather upper construction with the Swoosh in a lighter tone of black. The inner lining of the silhouette is made of leather while the whole design is finished off with the contrasting red outsole. Nike LeBron XII NSW Lifestyle “Challenge Red” – also released in 2015, following the “Lights Out” colorway, the Nike LeBron XII NSW Lifestyle “Challenge Red” goes along with the “all-red trend.” The monochromatic touch given to the silhouette brings out the bold appeal of the sneaker as it was complemented with the LeBron logo on the tongue and the Swoosh branding on the heel along with its distinctive accent of metal, pyramid-shaped lace charms. Nike LeBron XII NSW Lifestyle “White” – dressed in all-white the Nike LeBron XII NSW Lifestyle “White” also displays the Metallic Gold Swoosh which serves as a contrast from the white colorway. The sneaker’s look is finished off with the crimson outsole. 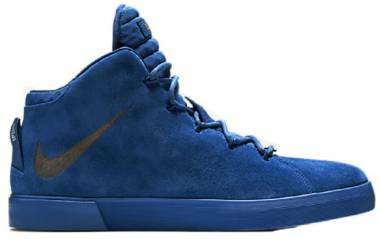 Nike LeBron XII NSW Lifestyle “Blue Suede” – the sneaker exhibits a blue suede upper construction which also displays the contrasting dark grey Swoosh on its side heel. Nike LeBron XIII Lifestyle “DraftDay” – following the release of the all-black colorway of the silhouette, the sneaker dons its counterpart and exhibits an all-white upper with a mix of leather and rubber construction. In addition to its fresh look are the gold detailing that adorns its lace dubrae and the upper lace eyelets. To finish off the design is the jewel by the sneaker’s midsole. Nike LeBron XIII Lifestyle Navy/Gum – another version of the LeBron XIII Lifestyle was offered by the brand still in 2015. The sneaker delivers a similar design that was seen on the Nike LeBron XII Lifestyle “Rubber City” and presented on the majority of the silhouette’s upper excluding the toe box, the heel collar, and the tongue. Hints of gold accent adorn the top eyelet, the dubrae, and the side panel emblem. The gum sole finishes off the design of the sneaker. Cristiano Ronaldo first signed with Nike in the year 2003 is a young athlete at that time. For the years to come, Ronaldo has sported over 60 various Nike Mercurial Boots. The success of the relationship between Nike and Ronaldo will carry on as Ronaldo just become the third person to sign a lifetime deal with the gigantic brand. Following the Metallic Gold release for the Nike Air Max 97 CR7 in October 2017, the brand teamed up with Cristiano Ronaldo and launched the Nike Air Max 97 CR7 “Portugal Patchwork.” The fresh look of the silhouette exhibits a mostly red colorway with hints of gold as a tribute to his homeland, Portugal. The sneaker also features the patchwork design which was already showcased by its forerunner. The design concept was also a reference to Ronaldo’s mother as when he was a child; he only had two pairs of shoes. One pair was for school, and the other was for playing. Coming home with worn shoes, Cristiano’s mother would patch them up. The shoe also comes with a set of laces which displays the colors of Portugal. The silhouette that falls under the Nike Sportswear Sneakers collection also features a bootie construction that hugs the foot in a snug yet flexible and comfortable fit. The component is built with solid and mesh areas that provide a firm structure and proper ventilation. The Nike Air Max 270 also showcases the dual-density foam sole and the large Max Air unit for its “super-soft cushioning.” Other features of the sneaker include the asymmetrical lacing system that offers a secure fit for the wearer, the knit upper construction with the no-sew overlays that provides both comfort and support, and the forefoot’s solid rubber outsole and the heel’s clear rubber. This low-top sneaker was seen on the feet of Cristiano Ronaldo in one of his Instagram posts. In the Spring of 2018, Nike and Maria Sharapova introduced their first Nike La Cortez collaboration that falls in the Women’s collection of the Nike Sportswear Sneakers. The Russian-born tennis star has found a home in Los Angeles, specifically in Manhattan Beach. It is where she mostly takes inspiration from for her own style just as what she showcased through her Nike LA Cortez. Through the sneaker, Sharapova expresses her distinctive style and the silhouettes embodiment of the city of LA. The tennis player also was able to convey her tennis heritage, presenting her defined “vision of the grace and grit” through the silhouette. By August of 2018, Nike and Sharapova also launched the follow-up release for the LA Cortez with a darker tone which represents the autumn feel of NYC. Flaunting chic earthly tones, the Nike LA Cortez Maria Sharapova collab features the full-grain leather upper structure that provides durability. The foam midsole of the sneaker offers lightweight cushioning for the wearer. The design of the shoe is complemented with the rubber outsole that displays the herringbone pattern which gives off enhanced traction. 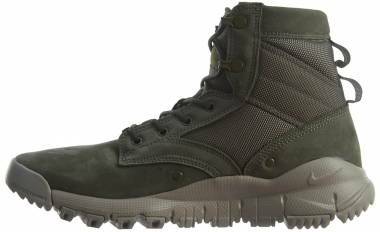 The Nike SFB 6” Leather Sneakerboots exhibits the combination of leather and textile with hints of suede and canvas upper construction. The design of these Nike Sportswear Sneakers presents the hiking boot structure with the sneakers’ comfort and functionality. Running shoes like the Nike Zoom Vaporfly Elite gave inspiration in creating the Nike EXP-X14. The low-top sneaker features a stylishly fast design and an attractive shape that is made for the streets. This new member of the Nike Sportswear Sneakers collection is built with the brand’s Nike React technology that offers lightweight durability and a clean feel. Designed by Bruce Kilgore, the Nike Air Force 1 was first released in the year 1982. It was the first on-court shoe from the brand to feature the Nike Air technology. The shoe also established a firm reputation among the pop culture community that decades later, it stays as an icon in both the court and the streets. The iconic sneaker was named after the United States President’s plane that they fly in, the Air Force One. Like any other shoe, the AF1 also experienced some down lows as during the 1990’s it lost a bit of popularity but eventually regained it back during the late 1990’s and early 2000’s. With its come back, the sneaker was given some touch ups, and iterations were made, and different variations were released by the brand. Nike Air Force 1 07 LV8 JD1 Leather, Nike Air Force 1 07, Nike Air Force 1 07 Mid, Nike Air Force 1 07 LV8, Nike Air Force 1 07 High LV8, Nike Air Force 1 07 High LV8 JDI, Nike Air Force 1 07 LV8 JDI LNTC, Nike Air Force 1 07 LV8 JDI, Nike Air Force 1 Premium, Nike SF Air Force 1 Hi. Inspired by the Japanese Bullet Train, the sneaker features the full-length visible air unit that showcases the Nike Air Technology. The Air Max 97’s design is finished off with the three reflective lines on its upper which delivers an attractive glow effect, and its most popular colorway was the Silver/Red/Black combination. Debuted in the year 1995, the Nike AM 95 had made an impact on the running sneaker market. The silhouette featured a unique rippled upper design that came in a gradient gray color scheme with hints of bright yellow accents. 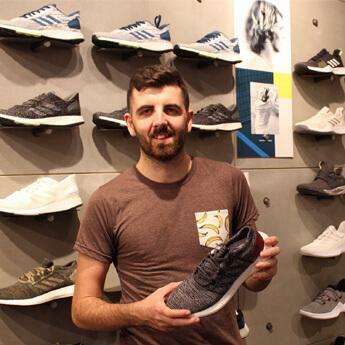 Sergio Lozano, Nike ACG designer, was assigned by Nike to lead the project. He was a skilled industrial designer holding a four-year-experience with tennis and training shoes. Tinker Hatfield, in the year 1990, created one of the most iconic shoes in the running category of all time. Initially known as the Nike Air Max III, the silhouette delivers a sleek appearance and a remarkable color scheme. During its reissue in the year 2000, the sneaker was called as the AM90 as it was given the name of the year of its inception. The original Nike Air Max 90, though, went away from the spotlight for almost 12 years, and its reissue was the closest image of the shoe to the original. 1. Does Nike provide customization for its Nike Sportswear lifestyle sneakers? Yes, Nike does provide customization for selected Nike Sportswear Sneakers. In the Nike website, if the sneaker is available for customization, it will be labeled or tagged by the brand or some indications will be put on its description that it can be customized. Mostly, the sneakers will carry the term “iD” in its name if it is among the silhouettes that can be tailored under Nike ID. 2. Can one buy a discounted shoe from the Nike Sportswear Collection? Yes, one can buy a discounted price for a Nike Sportswear Sneaker. Eventually, most of the products from any brand will be offered at a lesser price. The discount may vary with the brand’s percent-off offer. 3. What is the price range of the Nike Sportswear sneakers? $50 - $100 – common price tags of most Nike sneakers. Discounted shoes mostly fall in this price range as well. $100 - $150 – the sneakers that fall under this price range are commonly the brand’s classics. Newly introduced models also mostly carry these price tags. $150 - $200 – this price range mainly offers the upgraded versions of the classic models or the new main models introduced by the brand. Above $200 – Nike Sportswear Sneakers that has the price tag of above $200 may be a special edition release, a limited edition collaborative hype, or a premium variation of the classic and popular models of the brand. 4. Do Nike Sportswear sneakers come in different types of shoe based on its cut? Low-top – these shoes fall under the ankle and provide freedom for ankle movement, although, it doesn’t offer much ankle support. Mid-top – shoes that go just right above the ankle. These silhouettes offer more ankle support compared to low-top shoes, but they limit the ankle movement. High-top – goes higher above the ankle than the mid-top silhouettes. Mostly display a more stylish design. 5. If the shoes under the Nike Sportswear Lifestyle Collection are mainly developed for lifestyle or casual purposes, can one still wear the shoe for athletic or fitness activities? Yes, one can still wear the lifestyle Nike Sportswear Sneakers for non-casual purposes as these shoes are designed just like its sports/athletic focused counterparts. The lifestyle sneakers exhibit a more casual appearance compared to the athletic-designed shoes, but both these categories of the same models feature the same technology that the brand used for its structure.